Personalized Trivia Time Capsule for Any Year 1936-1979. Revisit your favorite nostalgia for the year you were born or the year you were married. 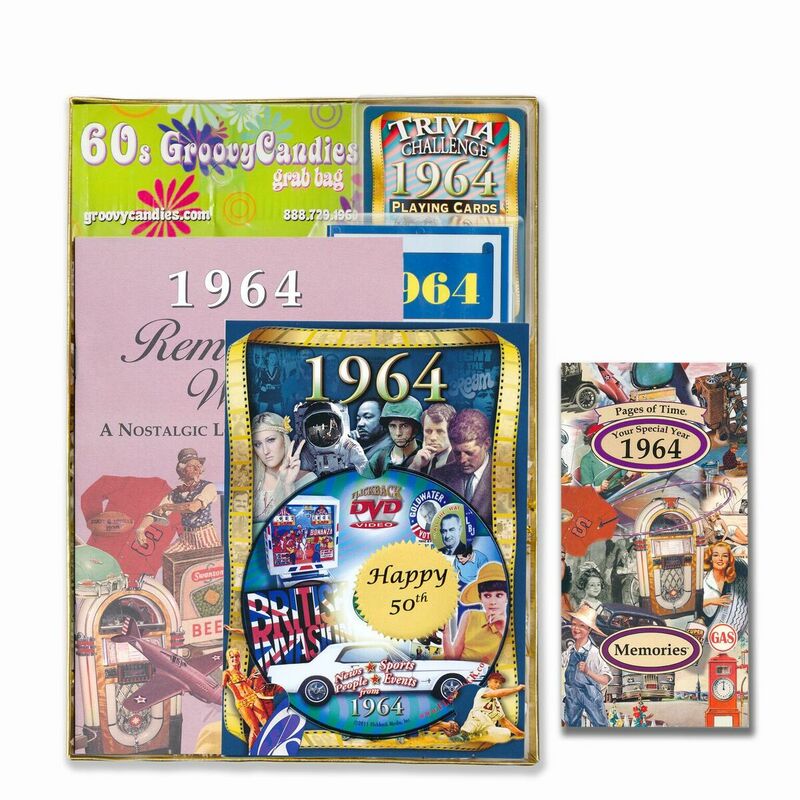 Choose any year from 1936-1979 and we will make you this custom time capsule for your favorite year. Add your own special greeting message or name to the seal and have an instantly personalized time capsule! An entire deck of year trivia playing cards that you can use for your favorite card game, but it also has questions about the year on them! Answers are included. You can play two games at one time! A year greeting card that folds out into three sections and has more year trivia, designed with a nostalgic look in mind. To finish off the box, we fill it up with some elegant gold and white shred and place it in a gold box with a clear top. Then we personalize the seal with the message you gave us and it ships out the same day! Truly a thoughtful and special gift to give to anyone in your life that loves trivia and nostalgia.